HERE YOU FIND ALL THE INFORMATION? You want to know what an escape game is about? You need some information about the price or the number of player? TRAP Milan is a real-time adventure to play in team. The goal is to complete the adventure in a certain amount of time (60 minutes). To do this, team members must cooperate with each other, seeking creative solutions to the problems that they would face, using their logical skills and intuitions. If necessary we will provide you help and hint during the game to make your experience unique and overall fun. You must be at the shop EXACTLY at the starting time indicated on your booking. We have waiting rooms in case you arrive before, but we can’t guarantee that someone is not using them in that moment and you have to wait outside the structure. In case you arrive late, we will do everything to make you play 60 minutes, but (only with respect) of the players of the next games we can not guarantee the regular running of the game for its entire duration. Please, let us make all happy and be at the shop EXACTLY at the indicated time. We thank you in advance for your kindness. How long would it take us for the whole experience? The game lasts 60 minutes. Before the game you watch a movie (in English) with the introduction to the game and a brief description of the rules for participating; once finished the game you might also want to take a picture of your team and we would love to have some time to explain you the game. You will have to calculate about an hour and a half of time for it all. We remind you that you must be courteously punctual and arrive EXACTLY at the time indicated in your booking. Is it possible to change the booking or cancel it? Absolutely yes. To cancel your appointment the easiest way is to respond to the email we sent you at the time of your booking and use the appropriate link for cancellation. All changes must be made at least 24 hours in advance of the start time of your game.  If you can not view the email or the link contained in it, please send us an email to info@trapmilano.it with your name and time in which you have booked and we will cancel your reservation. To change your booking, please cancel the existing one first and proceed to the new booking through the online booking procedure. I would like to make a reservation. How can I do? Reservations are managed online directly on our website. Click on the BOOKING section and choose the adventure you prefer. Choose the available time that best meets your needs. After you have decided the date and time of your booking, fill the form with your details and we will send you a confirmation e-mail to the address you have provided. Maximum number of players, is it possible to add people to the adventure? Our games are structured to be played from a minimum number to a maximum number of people because we believe it is impossible to guarantee a "fun" game for example for 2 and at the same time not too chaotic for 8. Our adventures are developed on minimum 50sqm, the maximum limit of players is set to entertain you: the risk is that everyone proceeds in the game a bit on their own and exclude others from the solution of the various puzzles, so some players proceed in play without understanding the steps. Please respect this limit because it is set precisely for your enjoyment. That said - not to disappoint anyone, if you want to play in 1 (and just one) more player there would be a surcharge of 15 euros for the extra player. Remember that if you want to play in a large group the best way is to split up during the game in two subgroups, in order not to make the game too chaotic. How many player should team up? Age of players: can children and young people play too? Our player can be people of all ages, but we recommend a minimum of 12 years for the complexity of some puzzles. Our thriller and horror-themed rooms instead requires a minimum age for the proposed atmosphere and the themes; in particular: Tomb: minimum 14 years Casa nel Bosco: minimum 16 years We also remind you that La Piramide is our adventure dedicated to families. Unfortunately it is not possible. In all games there are tasks that require the cooperation of a minimum of 2 team mate. Is it possible to organize company team building? Certainly: our activity is perfect for team building sessions. Thanks to our game the various members of the team can have fun refining the concept of "together is better", since cooperation is even essential to proceed in the adventure. Can I play without knowing Italian language? All game inforb mation is available in Italian and English. But the game does not need any specific linguistic knowledge: the key to everything is intuition! How should we dress up to play Trap? You will only need comfortable clothes that will allow you to move easily. Is the game scary somehow? The game is not based on fear, but in solving puzzles and testing your skills, in any case all our rooms are equipped with an anti-panic button to open all the doors. You will be monitored by one of our operators throughout the duration of your game. We report the presence of a strobe light in the "The Tomb" room.
. Does the game require strength or particular physical skills? How can I reach Trap Milano? Are the rooms air-conditioned in the summer and well heated in the winter time? Absolutely yes, in all the rooms we have air conditioning in summer and heating in the cold months.